If you've been following this blog for any amount of time, you know that I recently moved 200 miles from south-east Wisconsin to north-central Wisconsin. While we still haven't sold our house and life is still somewhat in limbo because of that, I've still managed to have an interesting time here in the north. A lot of people may not be real familiar with this area of the state, or where I moved from, or even Wisconsin at all! So I want to give some comparisons for those who don't know. Where I grew up and gardened my whole life, soil tended to be clay or clay-loam. Closer to Lake Michigan, soil could be sandy loam and I was fortunate to garden on two different properties with this soil type. But at my house the soil was clay loam and I extensively modified it with compost and pine bark to have better drainage. Our soils tended to have higher pH as well due to limestone bedrock. Here in the north the soils are primarily sand. There are areas of good soil with some clay, but it's mostly sandy. Being over granite bedrock our pH tends to be lower. This area of the state was more heavily influenced by glacier activity during the last ice age and boulders are extremely common as well. The topography here is much more hilly. The water table is also closer to the surface, and this fact coupled with glaciation means we have lakes. Lots of them; over 600 in this county alone. In the south near Lake Michigan I was gardening in a solid zone 5b and our average frost free period was May 11-Oct 6 (150 days). Here in the north it's z4a and frost free is May 20-September 24 (125 days). This means we have 25 fewer growing days and it gets significantly colder here. It's gotten to -28 F° multiple times each of the last two winters. We rarely got below -15 in the south. We also get more snow here. As I type, there is pretty much no snow in the south but we have close to 18" on the ground here. Of course as much as I don't like snow, that's a blessing. More reliable snow cover means reliable winter protection for the plants! As for summer temperatures, they're fairly similar. We actually warm up a little faster in late spring when we finally do thaw out as we don't have Lake Michigan keeping us cool. But in mid-summer it is slightly cooler here. I like it warm, so I'm actually not real happy about that. There were days last summer that it was above 80 degrees back home but not even 70 here. While it's easy to think about a shorter and colder season and get discouraged, these differences in climate and soil actually offer some compelling reasons to be excited to garden here. I'm able to grow a fairly significant number of plants that I couldn't grow in the south. Pretty much anything that likes sandy acid soil is fair game here; things like Rhododendron, blueberries, wintergreen, or bunchberry. Add in the cooler summer climate and reliable snow cover and things like Cypripedium guttatum or yatabeanum and most of the Primula species become much more possible to succeed with here. So while I may mourn the loss of ability to grow Japanese maples, I'm also celebrating the ease with which I will be able to grow birches and hemlocks. Another exciting thing about this area is we have an outstanding diversity of native flora. I've been enjoying getting to learn all kinds of new plants and finding plants that were only rare in the southern part of the state but are common here. Here are a few I've taken pictures of. Asclepias exaltata is fairly common here in the north and rare in the south. I've been visiting parts of northern Wisconsin for 20 years so I'm quite familiar with this species and we grow it at the nursery for sale. In fact this picture was actually taken in my old garden, but it was raised from seed collected here in the north. It prefers light shade as it's naturally found on the edge of woodlands and is currently my favorite species in the genus. A. incarnata while common in the south is even more common here as well and it seems to have more diversity in flower color as I've found a good assortment of very dark flower forms. Clintonia borealis is quite rare in the southern part of the state, I've only ever seen one plant and the next year it was gone. Here it is abundant. I've seen colonies of hundreds of them. I collected some seed, hopefully I get some decent germination and we can offer some for sale in the future. Bunchberry, Cornus canadensis, is also locally common and non-existent in the south. It needs sandy acid soils to thrive. Linnea borealis, or twinflower, is also locally common. It's less common in the south but I have seen it. 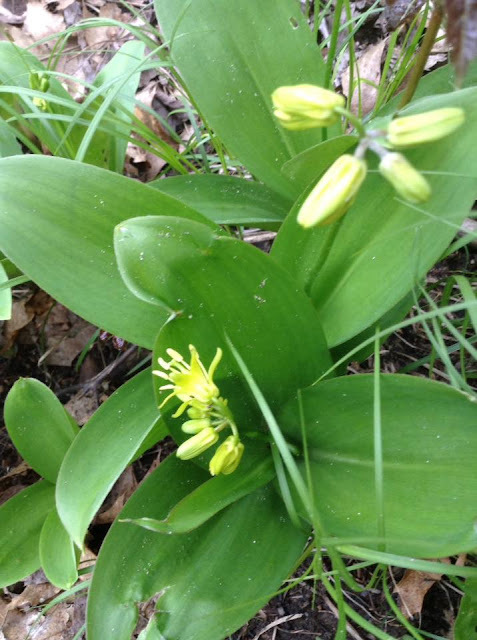 This is a nice low growing spring bloomer that forms nice patches in the woods. I think it will be nice in gardens and I will have to propagate some in the future. Partridge berry, Mitchella repens, is common throughout the state but it's always nice to find this cute little woodland gem. Polygala paucifolia is one that had me stumped. I spent quite awhile trying to figure out what kind of orchid I'd found that was blooming so early. Eventually I had to call in a favor from a friend who correctly identified it for me. Polygala aren't orchids at all but are in a family of their own and this species is an absolute gem of the woodland. We have 7 species in the state and this is the only one common in the north. Each species is drastically different from the others in my eyes and you probably can't confuse them. The ferns. Oh my god THE FERNS! There are so many here in the north. Pictured above is long beach fern Phegopteris connectilis. I'll be searching out many of them and hopefully growing them from spores. 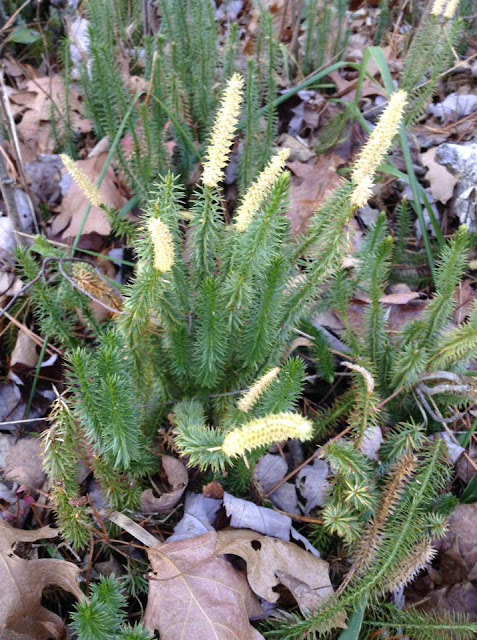 Worth mentioning along with the ferns are the spikemosses and clubmosses, in Lycopodiaceae. This appears to be a Lycopodium species, maybe L. lucidulum? I mentioned the incredibly high number of lakes we have here. We also have a ton of other wetland habitats including marshes and bogs. This year was the first time I've seen Calla palustris. It's very common in some of the areas I walk. Lysimachia thyrsifolia is one of our native loosestrife species that is found in wetlands. Seems to be cute, not sure if it's incredibly invasive in garden conditions or not. You can see it growing with Iris versicolor here. I've found pink lady's slipper, Cypripedium acaule, on multiple occasions now and it's always a joy to find them and take pictures. 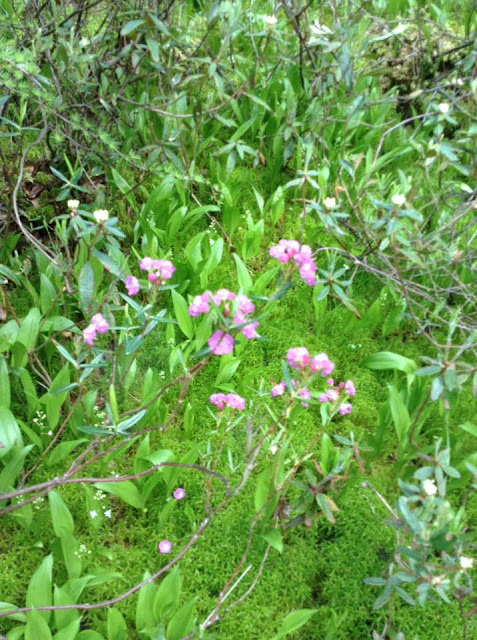 I've found them growing in bogs and on higher ground along open water. These are now being produced from seed, NEVER collect wild plants. They don't reproduce well in nature to begin with and more often than not they don't survive being transplanted. Seedlings are available from Spangle Creek Labs and I'm sure you can find larger nursery-propagated plants for sale if you look. 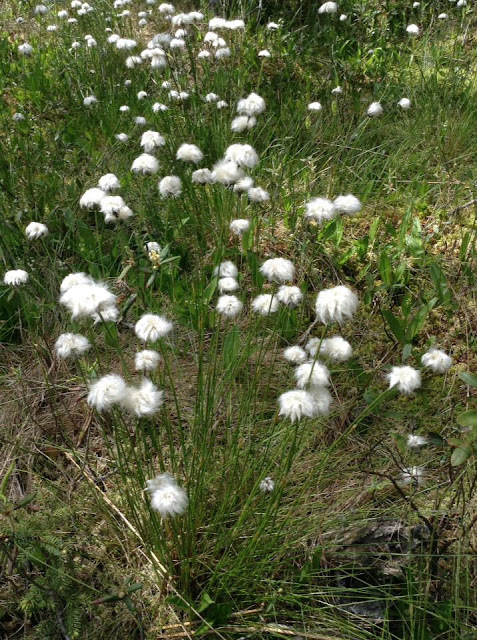 Cotton grass in the genus Eriophorum was entirely new to me. 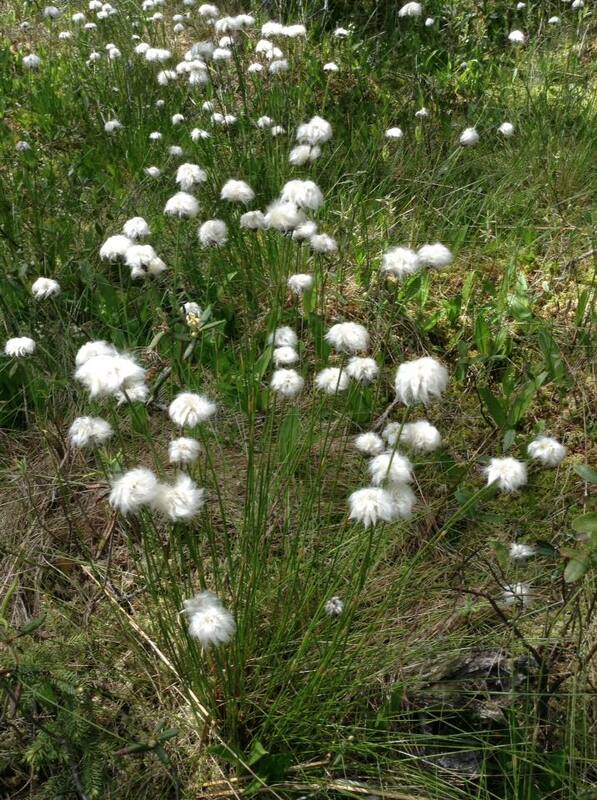 I believe the above is Eriophorum vaginatum. I also came across E. virginicum. We have several species in the state and they're all inhabitants of bogs. I intend to try growing some of these from seed. 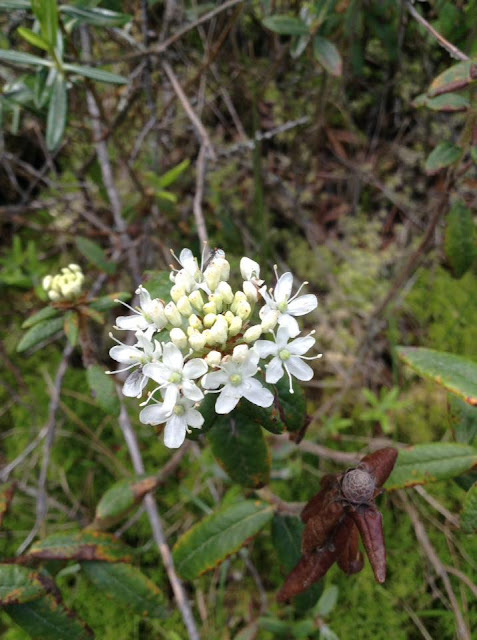 Another bog denizen is bog laurel, Kalmia polifolia. This is related to mountain laurel and looks similar but likes wet soils rather than well-drained. I've only come across this twice in the southern part of the state, but here it's common. Another common bog plant here is Rhododendron groenlandicum. Yep, we have native Rhododendron species. This one is common in the northern 2/3 of the state. The other species, R. lapponicum, is endangered and only found in two counties far south of here. I've seen tons of other plants as well but haven't yet taken pictures. 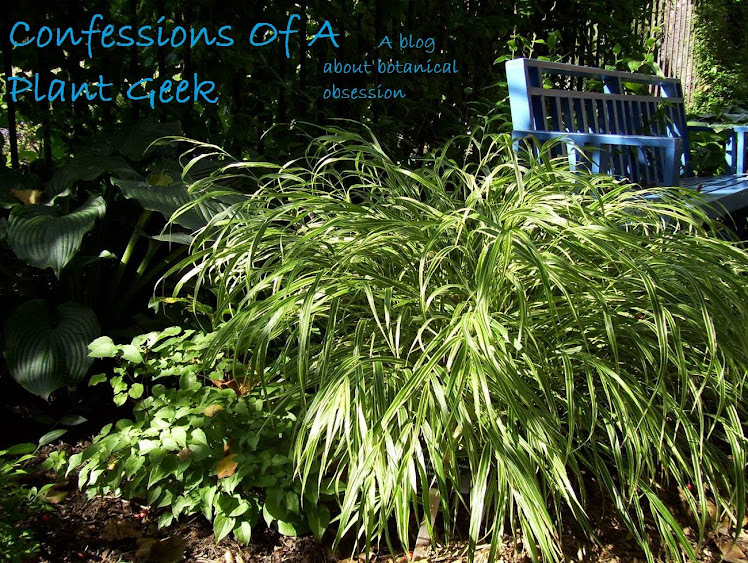 Expect more posts like this as I find exciting plants!